Colgate, the stuff you use to brush your teeth. Palmolive, the stuff you use to wash your dishes. If these are the immediate connotations that pop to mind, you are mostly correct. Colgate-Palmolive is in the business of selling consumer products in the oral, personal and home care and pet food markets. Around 80% of its revenue comes outside of the United States – this is important for later discussion so keep this in mind. It is the market leader in many of the business segments it operates in and it is a cash producing machine. The company has been in existence, in one form or another, since 1806. It sent out its first dividend cheque to shareholders in 1895. For 121 years, it has not missed a dividend payment for shareholders. 2016 will, in all probability, mark the 53rd consecutive year of dividend increases, as Colgate is expected to announce yet another year of dividend hikes soon. Looking over the the stock’s current, basic metrics as of market close on February 16, 2016, Colgate looks to have an earnings multiple of just around 43 P/E ratio and a starting dividend yield of 2.3%. At first glance, this seems rather strange. But upon closer inspection, there is more than meets the eye. Let’s go back 20 years and imagine that you had purchased $10,000 worth of Colgate stock, which would have gotten you around 141 shares back at the beginning of 1996. According to the return calculator on Colgate’s investor relations website, that original $10,000 has compounded at an average annual rate of around 11.7% every year for 20 years with dividends reinvested, making your original investment balloon from 141 shares worth $10,000 to 1391 shares worth $91,436 today. Without dividends reinvested, you would have compounded at an average annual rate of 10.5% every year for 20 years and be left holding 1128 Colgate shares while having collected a total of $16,393 in cash dividends along the way to spend on whatever it is you wanted. Today, you would be sitting on either 1128 or 1391 Colgate shares, depending on what you did with the dividend, that is producing either $1,733 or $2,137 in annual dividends for you. What makes it even more beautiful is the consistency of the revenue, net income, earnings per share, dividends per share, and free cash flow growth over time – it’s like clockwork. So why does Colgate trade at a seemingly eye-popping 43 earnings multiple? Remember how around 80% of revenue comes from outside the United States? Well, the extreme strengthening of the US dollar is a major reason why the GAAP earnings are understated, having an 11.% negative hit on revenue. Also, hyperinflation and the in Venezuela has resulted in impairment writedowns on assets in the South American country. And finally, there have been some restructuring costs that are being expensed over a few years time. Yet, despite all of these negative factors, Colgate grew organic sales by 5% and increased operating margins to 26%. The negative factors listed above are obfuscating the long term real earnings power of Colgate. Adjusted for Venezuela and restructuring costs, Colgate had diluted earnings per share $2.81 in 2015. This brings down the earnings multiple to around 23 P/E. This is getting closer to the real, long term earnings power of the company based on what it does historically. 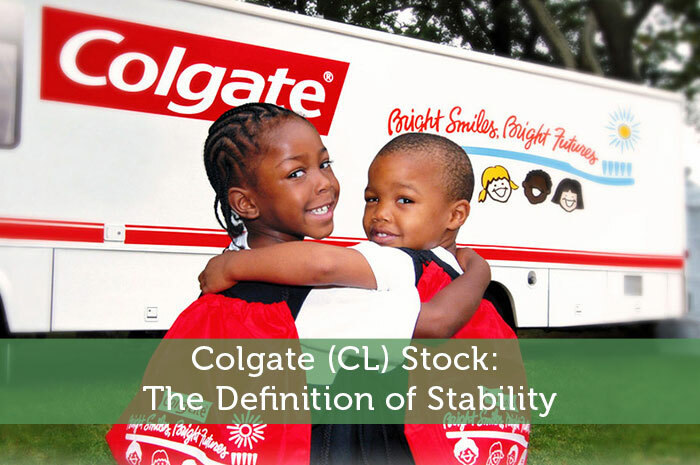 Colgate is the exact opposite of the most recent stock I covered: BHP Billition (NYSE: BBL). Not only is Colgate not cyclical, it pounds out revenue, profits, earnings per share, and dividends at a steady and increasing rate. Recessions, wars, terrorism: none of it phase the stock much relative to the volatility experienced by the wider stock market. This is something you buy at fair prices and lock away forever. Over long stretches of time, you will be showered with cash dividend payments and capital gains as Colgate sells toothpaste, toothbrushes, mouthwash, soaps, and pet food like clockwork to its customers around the world. While seemingly ordinary and boring relative to growth stocks like Facebook (NASDAQ: FB) or Amazon (NASDAQ: AMZN), if you purchase ownership in Colgate-Palmolive at a fair price, lock it away as part of your permanent and long term holdings, and reinvest your dividends back into the stock, the outcome you experience in the decades ahead will be extraordinary risk-adjusted returns. For a more detailed breakdown of Colgate-Palmolive, click here. Disclosure: This author is long BBL.